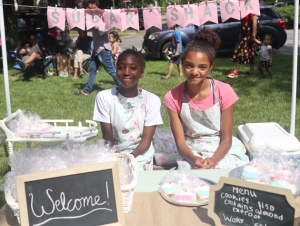 KidBiz Market, the entrepreneurial program for children organized by the Small Business Development Center (SBDC) at Buffalo State, kicks off its 22nd season Saturday, June 16, from 9:00 a.m. to 1:00 p.m. at the Elmwood Bidwell Farmers Market.  Additional sessions will be held July 7 and August 4. The fun, education program allows third- through sixth-grade students to sell everything from homemade snacks to original works of art in an open-air market setting. Starting a business can be a risky endeavor, but these young go-getters are well prepared. Students complete a training session before the sale to learn the ins-and-outs of starting their own businesses. The young participants also become versed in customer service, product presentation, pricing, and the art of selling. Each child is responsible for naming their business, selecting what to sell, creating displays or signage, and financing their business (children must bring their own table and are charged a $2 space fee). Since its inception two decades ago, hundreds of budding entrepreneurs have completed the program, the only one of its kind in New York State’s 24 small business development centers. For more information, contact Lizak at (716) 878-4030.